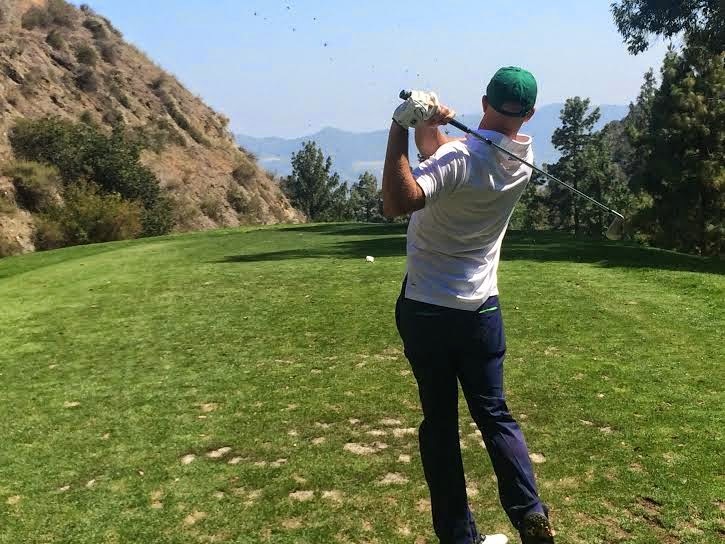 Nestled in my favorite mountains in Southern California (the Verdugos) lies DeBell Golf Club, a short but challenging golf course that I got to check out the other week. The first thing about DeBell that you must pray to the deer gods in order to have a good round. Seriously, the deer where EVERYWHERE on this track. Completely oblivious to duffed shots, golf carts, cursing. Theirs is a blessed existence. The course offers a variety of tight driving holes (only broke out my driver a few times and paid dearly for my decision) with bling tee shots greeting you on over 50% of the holes. Once you get to the landing areas you are often faced with pins that are guarded by bunkers or streams. What is also fascinating about this course is that many of the holes are set up as par 4s between 250-320 yards but then the par 3s are ALSO 210 or so (from the tips). This isn't your run of the mill of executive course since par is 71 with a bunch of par 5's thrown into the mix. Its like an executive course on steroids. It is also a pretty course with many a flowering bush to be had. There was also a great sense of history with the course as all the benches were in honor of various luminaries in the Burbank golf scene and there was this great statue greeting all the golfers as they got the clubhouse. One of my favorite holes is a severe downhill 180 par 3 that you can't see at all from the tee. Your best hope is to aim between the mountain and the tree and pray. I actually got a par on this hole, one of my favorite pars of the year. That is the thing about DeBell, its short but with ton of tight driving holes and elevation changes, this course packs a punch. Pace of play was an issue with another 5+ hour round (for no reason especially on the day I played) but it was so pleasant and I enjoyed the course so much, I sucked it up and gave thanks to the deer gods for my round.